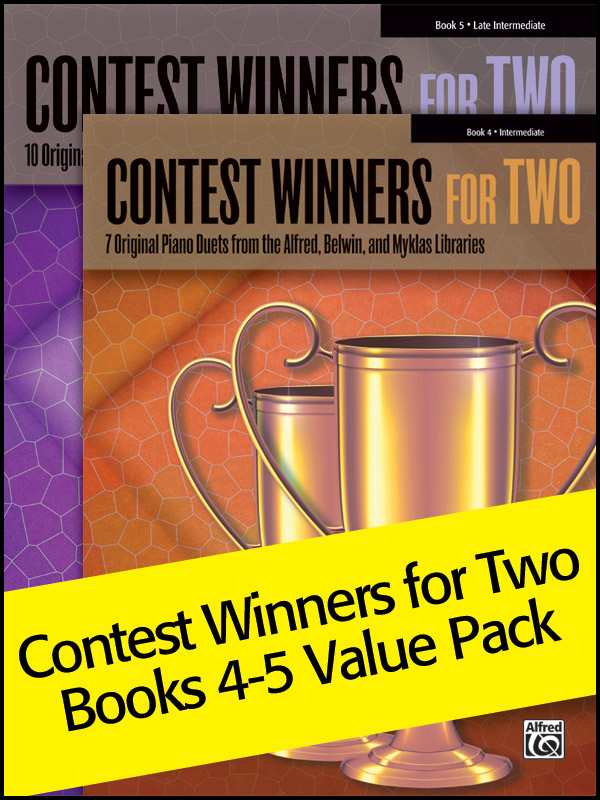 * Contest Winners for Two is a series of five graded collections of original, time-tested piano duets. * Over the years Alfred, Belwin, and Myklas produced an extensive catalogue of quality elementary and intermediate supplementary piano duets. * The pieces that are included in these collections represent the three companies' most popular and effective duets drawn from festival and contest lists. * This value pack includes books 4-5 in the series.